Add a Little Salted Caramel Deliciousness to Your Day! Who couldn’t use a bit of “me-time”? What better way to enjoy a little pick-me-up, than with the rich and delicious flavors of fall in a Salted Caramel coffee, latte, or macchiato? 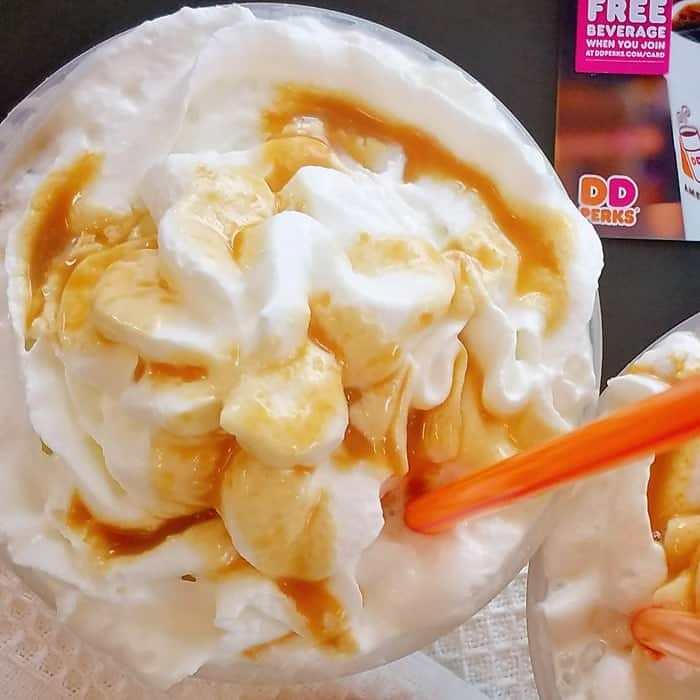 This post is brought to you by Dunkin’ Donuts to encourage you to get a little “me-time” while enjoying one of their new Salted Caramel coffee, latte, and macchiato flavor available at your local Dunkin’ Donuts! What a busy few weeks we’ve had around here lately! Sometimes I feel like, with everything we have going on nowadays, it can be a real struggle to get everything that needs to be done, Done! (Or at least done, and done well, lol)! I don’t think I’ve mentioned it here on the blog yet, but our house is currently for sale. So, yes – on top of all our normal activities we’ve been having showings about once every 7 or so days. Sure, it’s kinda nice not having people through every single day, but the downside is that 7 to 10 days in between each showing is JUST ENOUGH TIME for the family to relax and for the house to get majorly cluttered all over again! An all-out, several hour indoor/outdoor cleaning session has to take place before the prospective buyers can see the house. I have so many things on my to-do list, I’m just plumb tuckered out by Friday and often need a little break. (Oops, I’m either showing my southern roots or my age with that phrase… Anyone else ever use it?) On top of that, I still have to get Holloween costumes / accessories figured out for everyone – by tomorrow! I convinced the hubby to take the kids with him, so I could leave the house and get a few errands done without children. I decided on my way to to the 1st store; I would stop and grab myself a little treat. 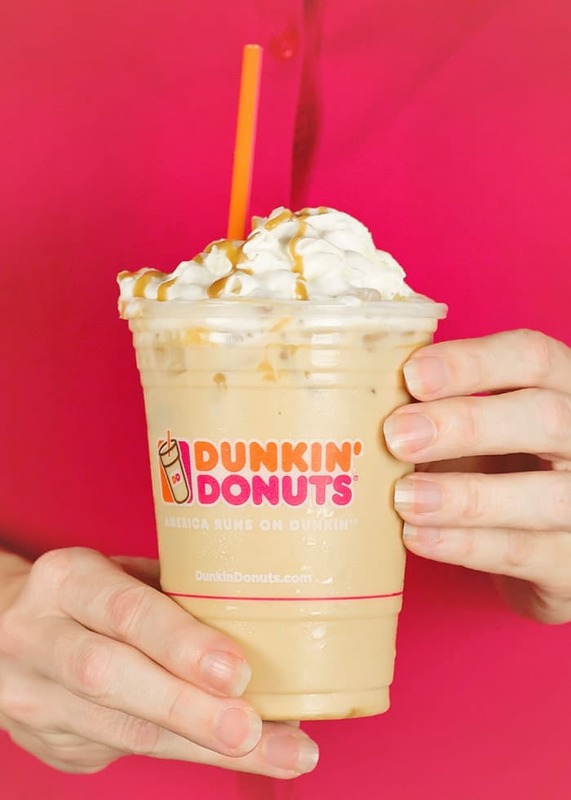 I knew exactly what I wanted – one of the new Salted Caramel iced lattes from Dunkin’ Donuts. 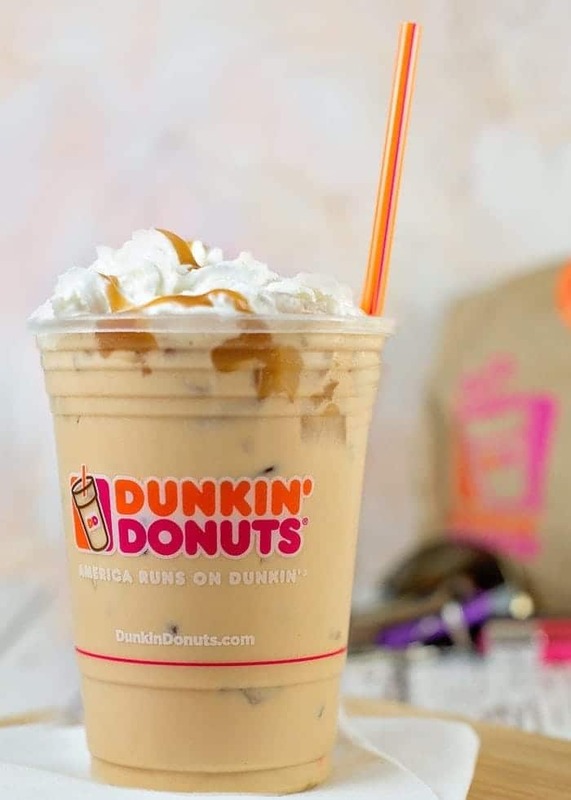 Dunkin’ Donuts’ Salted Caramel flavored coffee, lattes, and macchiatos are served hot or iced, combining the mouthwatering sweet and salty flavors of caramel in a delicious blend. Their coffee and espresso drinks are brewed using high-quality, 100% Arabica coffee beans; plus, they are brewed to order, so you have your coffee or espresso just the way you like it – including your choice of flavor, dairy and sweetener. For me? Iced all the way! Temperatures have to be below 65° before I will even consider a hot drink! I also had time to grab a little snack for myself! You’ll be happy to know, their breakfast items are now available all day. 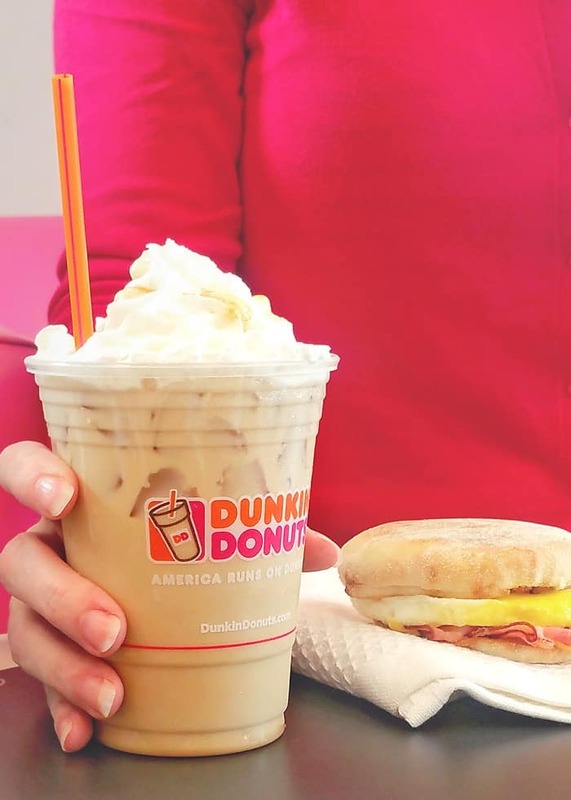 That’s why Dunkin’ Donuts is such a great destination for on-the-go people who need their coffee and also want a quick bite any time of day. Breakfast is not just for breakfast anymore ! It’s your turn! What’s one of your favorite specialty coffee flavors for fall and winter? Sound off in the comments below. Yum, I love Dunkin Donuts, their drinks are the best! This sounds amazing! I love caramel in my coffee! Oh I didn’t know they had salted caramel!!! I need to run out NOW! Love my Dunkin! I didn’t know they’d started serving breakfast all day! That is awesome! Love salted caramel and this drink looks wonderful! !